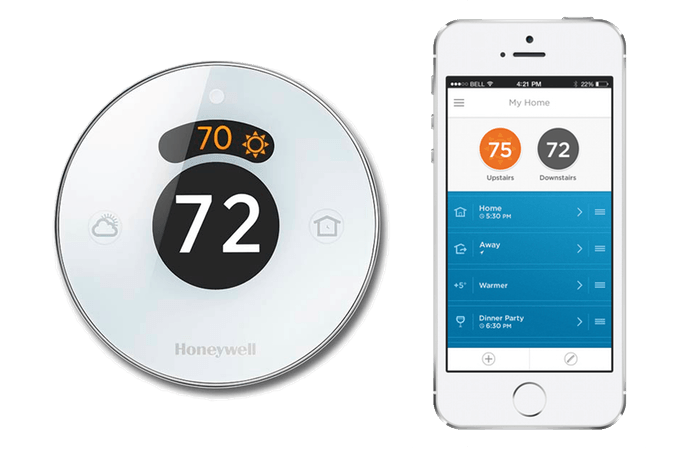 Last year, the well-known brand Honeywell launched a sound Home Security System. They called it Lyric Smart Thermostat, which brought with it quite a number of good promises of making the homes smarter than before. The features that were highlighted did impress quite a patch of the target customers across the globe and now, Lyric Smart has stacked itself quite well in the tech-stores with a bold sale out. A brief note on what new technology they have adopted will make it clear which type of security it is able to provide. The Security System of Lyric Smart is based on a Smart Controller with a new touchscreen. 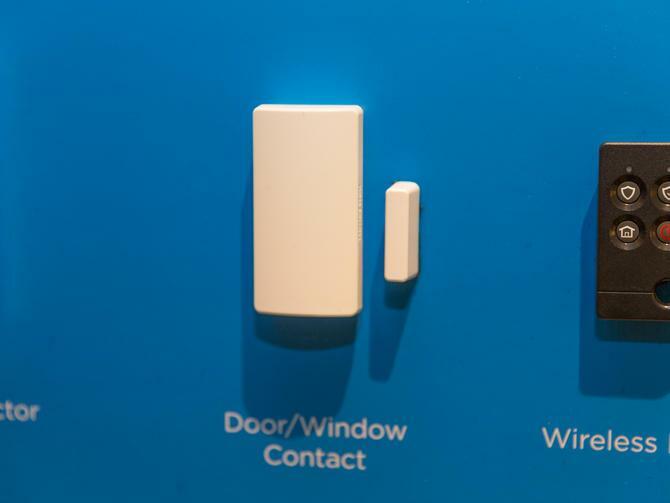 It can be connected to a number of new devices like a siren, a keypad, glass break sensor, smoke detector, movement detector, wireless key fob, and can also be equipped with a security camera. 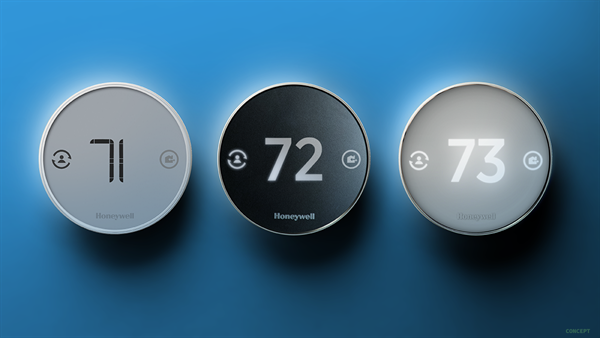 Honeywell brings with it a handful of extra smart features. The latest Lyric system is now open for instructions which can be manoeuvred directly from the smartphone or tablet and any other device which is connected to the Lyric thermostat. It does also work like a hub for the Z-Wave devices. Honeywell Lyric is now all tuned-up with the state-of-the art technology. With a linear design, it has replaced those messy dials and bulky switches and it is all packed up with a crisp looking stuff, clean and white in color; the metallic edges especially on the controller and on the keypad gives it a smart finish. Except the key fob, each and every button is made either touch-controlled or accessible through the touchscreen. The Smart Controller, shows us a glimpse of a security system moving forward towards making them more and more future-proof. It has got a cartridge holding the cellular radios and has been made for being swapped out as and when new wireless standards need to be upgraded. There is also a USB port placed at its bottom and a slot for lining up additional radios. The built-in camera can take photos of the user along a microphone for the purpose of voice control. With the built-in Z-Wave radio, the Lyric system would start working, dealing with 6 different thermostats, 6 door locks, 40 switches including the Lyric thermostat. Lyric has introduced a security siren with a good and smart looking circular design that includes a set of grill patterned speaker. A light placed at the center keeps flashing red whenever there is any situation that has triggered the alarm on; and goes back showing green once the system is done with its work. The security panel of the Honeywell Lyric works mainly on touchscreen which is quite responsive, has a smooth scroll and communicative tabs. The menu, though a little overcrowded with too many layers and options, isn't a big deal as we all know how much it takes to make every nook and corner work and get a full proof security system stand in place. The arming and disarming of the system is a breeze, and there is an option open to use the voice instead of touching the panel manually. Each and every command of the system is categorized under either as "actions" or "events". The system has the feature to be accessed through mobile devices because of the Smart Controller. 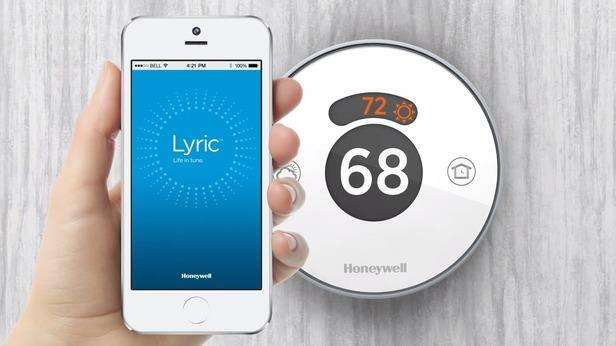 Lyric from Honeywell is easy to install and configure. The best part of it is that it utilizes the outdoor weather data to work behind the functionality of heating and cooling. The Home temperature is regulated through a smaller swing range. The geo-fencing facility is awesome as you come to know whenever someone is at home. Good and subtle control on the HVAC system all nested in an artistically designed modern framework. Users seem to be quite happy with the customer service as they were prompt and responsive. What we were taken aback by was that it didn't have any Web app. Also, it doesn't furnish any detailed usage reports. That indicates that the App is not going to warn you what are the HVAC components that are currently running at your home. There is no easy option for programming its day-to-day schedule etc. What was more disappointing is there's no data tracking feature available. You need to have a AAA Lithium battery to run it as the system is lacking the C-wire, and so the battery won't even last longer more than 2 months as per user feedback. It neither has any Kindle app support, nor a day or time viewer, and not even a control lock. Too expensive, rather say the most expensive till date. The Lyric from Honeywell is a Security System claiming to be a logical addition to their products. It does have a simple, security-focused setup and thus the Lyric can be held as an ideal solution for its Z-Wave radio and related products. It has shown a glimpse of futuristic solution which can control lights, doors and windows and blinds directly through your voice and that is like having a servant at your service, without any grudge. It is definitely a useful stuff to protect your home automatically even with some small hitches. It has a stylized Wi-Fi thermostat that listens to your smartphone and your voice. It also understands that too much energy consumption is bad, so it preserves it when things are not necessary and does the needful of heating and cooling your home, when you return after a hectic schedule.